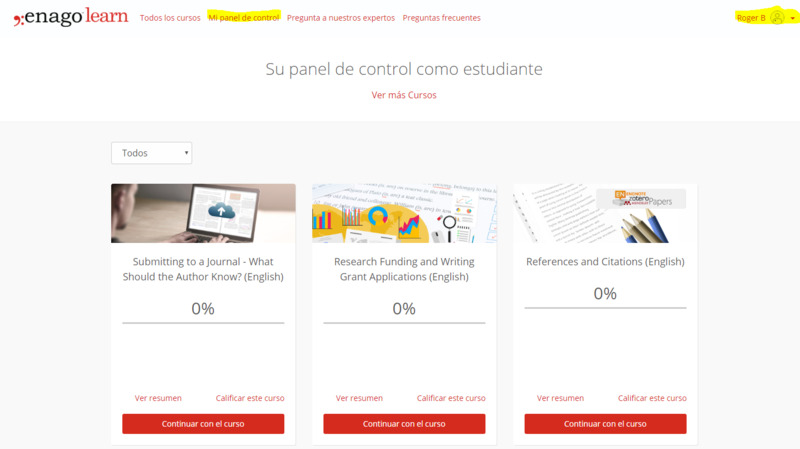 All details that you mentioned while signing up for Enago Learn are stored in the “Mi cuenta” section on Enago Learn. Step 2: Click on the “Mi cuenta” option in the extreme right corner of the window. Step 3: You will then be taken to your Profile page, where you can see your personal details. 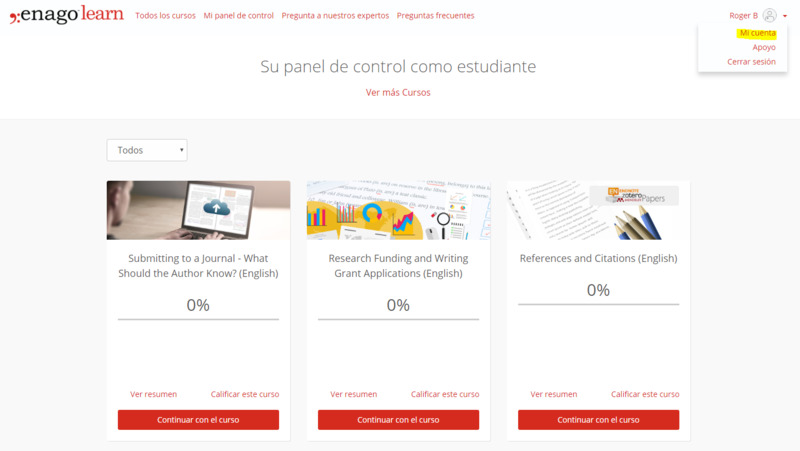 At the end of the page, you will see the option of “Idioma del sitio.” Once changed, you can navigate through Enago Learn in your native language. However, our courses will not be available in your native language. 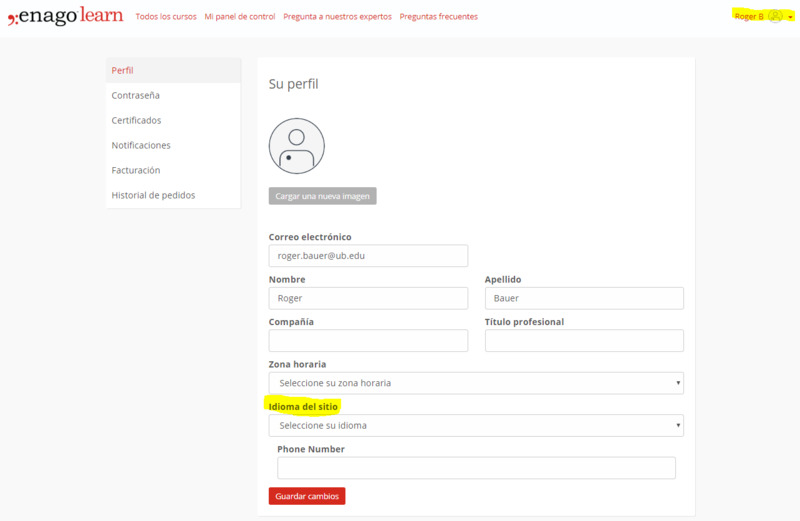 To access the Order History, you will have to access your “Mi cuenta” section on Enago Learn. Under the English package, you will have access to all our courses without the audio option. 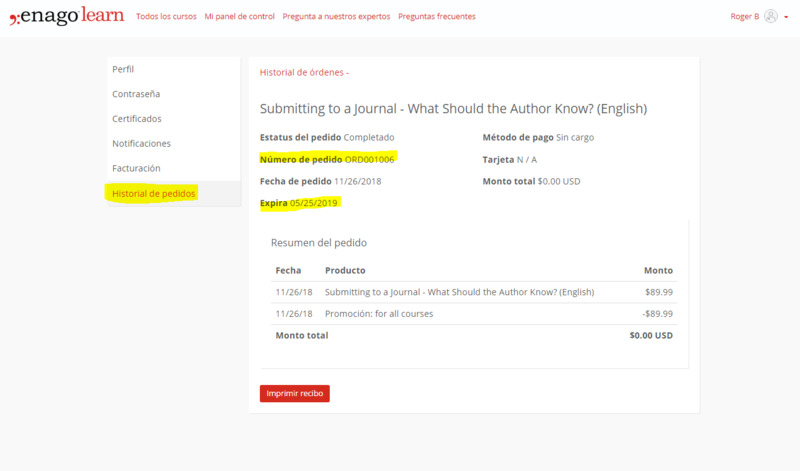 Under the Premium plan, you will have access to courses in text, audio, and regional language too (Japanese, Chinese, Korean, and Spanish). Under the Premium Plus, we will be offering video-based courses too. All packages are automatically renewed after 6 months. If any new courses have been added, you will not have access to them. All renewal requests should be made 1 week before your course expires. You can write to the team at learn@enago.com for any queries. Yes. You can surely purchase an individual subscription to Enago Learn's packages.